Hyderabad: Army’s men dominated proceedings during the inaugural run of the 10K INTENCITY Run – Hyderabad leg as their lads swept the awards bagging the top three honours with Avinash Sable finishing with impressive timings of 29:54 minutes. Held at the picturesque Hussain Sagar lake on Sunday morning amidst pleasant weather which helped runners of the 10 kilometre run to pace it up. Shankar Swami and Mohit Chandra Kumar finished second and third respectively. Amrish Kumar, coach of the armymen said he was pleased with the performance which was held in front of a host of dignitaries. Among the women, V. Priyanka crossed the line first followed by Jacqueline Xavier and Kruti Kadakia. Promoting a Green, Healthy India, the 10K INTENCITY Run – Hyderabad leg witnessed cyclists as pilots from the Hyderabad Cyclist Group for all the three categories 10km, 5km (Fun Run) and 2km (Future Champions Run). Among the honoured dignitaries who were present were Shri.Jayesh Ranjan, Principal Secretary, Industries, Commerce, Information Technology, Government of Telangana, Ram Singh Yadav, former Olympian and marathoner, JJ Shobha, Olympian, Kalpana Reddy & Shankar, International athletes, Ramesh Nagapuri, Dronacharya Awardee. This event has received official recognition from the Athletics Federation of India. The 10KINTENCITY run which started from Pune and will now move to Chennai. The winners for 10K INTENCITY Run received Rs 35,000, 25,000 and 15,000 as prize money. Speaking on the occasion, Mr. Anand Menezes, Ex-Olympian, Founder & Director, Andy Event Management said, “We are extremely grateful for the support and enthusiasm shown by the citizens of Hyderabad who participated in the run. The Hyderabad 10K INTENCITY Run was a proof of the success of the concept of a circuit run which we have taken to different parts of India. We are positive to build on the success of Hyderabad and will be moving to Chennai from here,” said Anand Menezes. The total runners who participated across the three categories was over 3000. 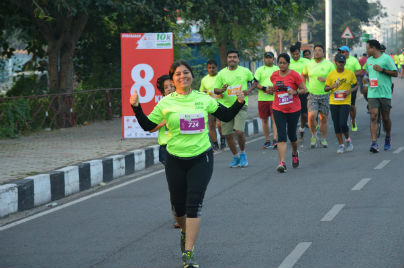 With Sunday’s Run, the 10KINTENCITY Run has completed three legs Pune, Indore and Hyderabad. The run will now move to Chennai on November 12, 2017 to be followed by Bhubaneshwar, Bengaluru, Mumbai, Baroda, Delhi and will culminate on February 11, 2018 in Goa. The total prize money for the winners of the 10K INTENCITY Run across cities is Rs. 50 lacs. 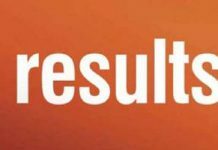 Results: 10K Men’s Winner – Avinash Sable (1st 29:54 mins), Shankar Swami (2nd 30:49 mins), Mohit Chandra Singh (3rd 30:52 mins). 10K Women Winners: V Priyanka (1st 45:08 mins), Jacqueline Xavier (2nd 52:43 mins), Kruti Kadakia (3rd 54:21).